Cherry Cottage Dollhouse Minis: Another piece of Furniture! 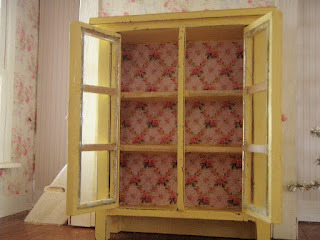 Okay, so I'm loving painting furniture and making it look distressed and different. This particular piece was a pie safe with tin inserts. 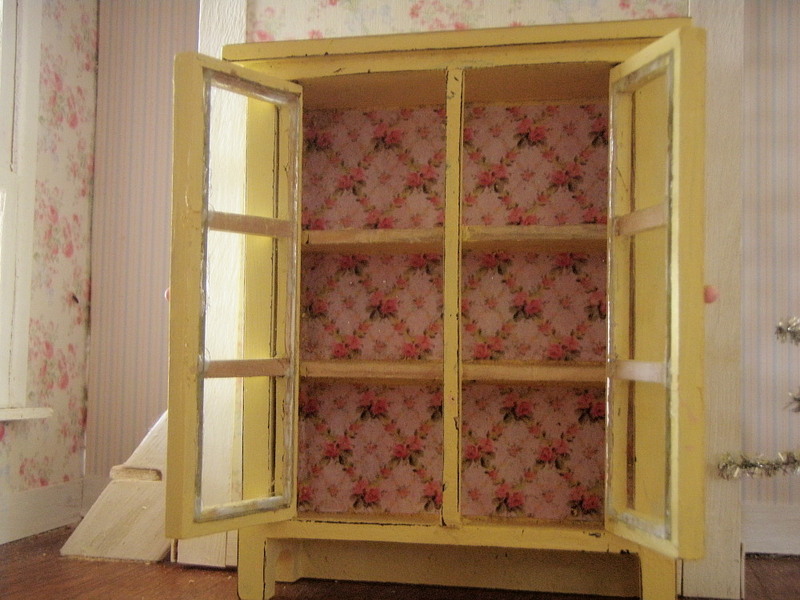 I took them out, papered the inside, and then painted and distressed the outside. I even added real glass to the windows. I love how it looks and wish I had one in real size. Why don't I have a blow up machine? 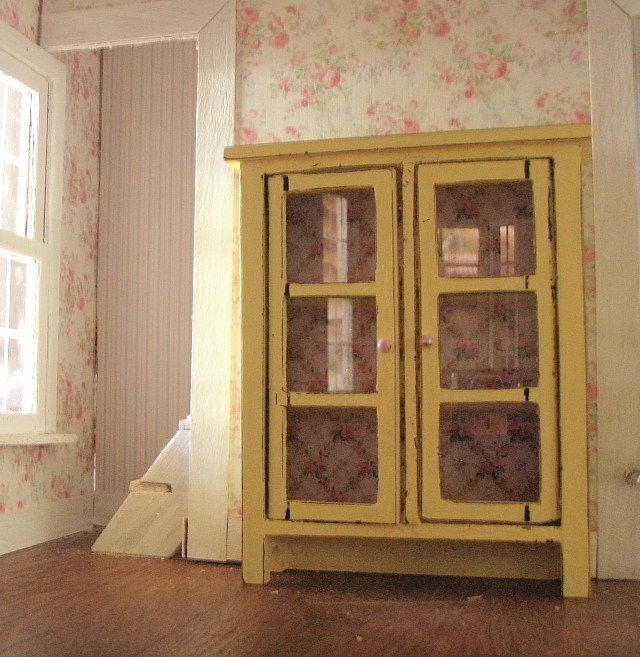 The cupboard is wonderful. This is going to be a beautiful shop. Oh!!! Me gusta mucho este mueble!!! Y tu blog ,también !! Después de ver todas tus casas , espero ver todos los muebles!! Beautiful. I like the paper on back. This is so gorgeous Cristina!! I really love the beautiful paper you lined it with and the paint colour is lovely!!!! A fantastic piece of furniture, a real show case. It will look wonderful in your shop.